Are you an amateur musician, singer, or songwriter trying to make a living out of your hobby? Or perhaps you’re already a seasoned professional who knows his/her way around but still cannot master the business side of music making? Regardless of your act, there are certain things you must know that are truly critical for your success and without them you just won't build anything sustainable. Curtiss King: Producer. Rapper. Mentor to thousands through his YouTube channel. His production credits include Kendrick Lamar, Ab-Soul, E-40, and MURS, and giants like MTV and VANS. But once upon a time Curtiss was broke - crafting beats on a video game console on his grandma's patio. The Prosperous Hip Hop Producer charts his ride to success from these humble beginnings. From beat battles to Top Dawg Entertainment, from empty pockets to a six-figure business, The Prosperous Hip Hop Producer is the story of a dedicated artist who risked all he had - and succeeded. Ideal for the recording artist, song writer, and music producer, Making Money with Your Music: The New Millennium covers what you really need to know about making money in the music industry. Discover what you need to know about preparing your music before you can license it and start making money. It will review copyright, song registration, contracts, how publishing works, building websites to make money and more; all in the shortest, simplest format, saving you time and money. 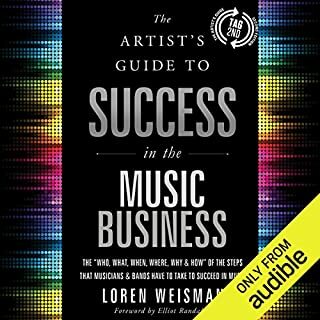 If you learn the secrets in this book...you will succeed in the music business! 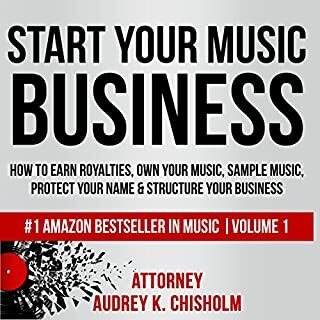 This book is created for artists, singers, songwriters, managers, producers, record labels, students, music fans, and anyone who wants to learn how to win in the lucrative music and entertainment business. This book was written by a Grammy-nominated entertainment industry insider, who spent over a decade studying and learning the tricks you will need to know to be successful in the new digital media era. This book will teach you everything you need to know about viral marketing and online promotion, which will help you get more views and propel your brand to the top in the least amount of time! Learn how to be successful, even with limited funds and resources! 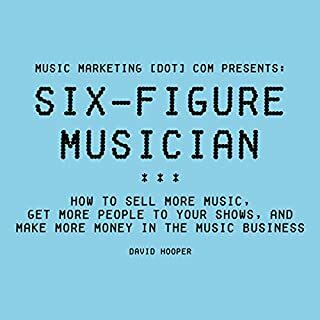 With a laptop and the skills taught in this book, you can rise to the top of the music industry, sell millions of records, and make millions and millions of dollars! Music industry secrets and viral marketing secrets revealed. Learn how I sold millions of records, streams, and digital downloads. Learn how I made millions selling my music online independently. Learn how to use YouTube and social media to the fullest. Everything you need to know about how to go viral online. Learn viral marketing secrets from someone who has actually gone viral. Learn my viral marketing techniques that have worked over and over. Learn how I got an unknown artist signed to a major label in less than three years. Learn how I created a multi-million dollar major label bidding war. Learn how I won a Grammy award. Learn from real-life, hands-on experience. Learn how to get your own RIAA gold and platinum plaque. Learn what pitfalls to avoid. Learn how to build a huge social media following. Learn from someone who already succeeded in the music business. This book will teach you how to successfully start marketing your brand online. 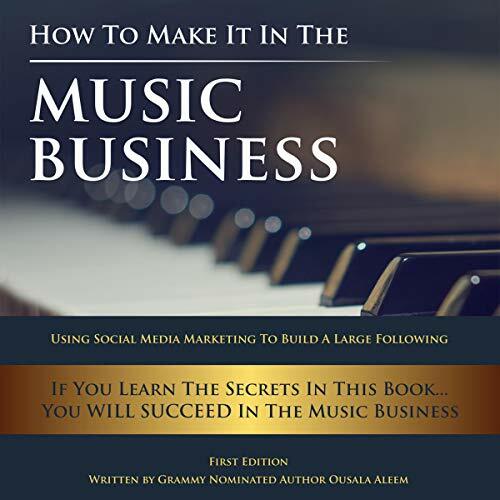 This book covers all aspects of being successful in online branding, not just the music business. Various topics are covered such as: starting a LLC, getting your music in all digital music stores, 360 record deals and contracts, entertainment lawyers, split sheets, online marketing, advertising and going viral, publishing, building successful YouTube channels and gaining millions of subscribers, getting major record deals, starting a record label, publishing deals, royalties, pros, Instagram and Twitter marketing, how to properly use social media, the rise of streaming, and more! Learn how to stay relevant in the new age of digital music and entertainment world by listening to this book! 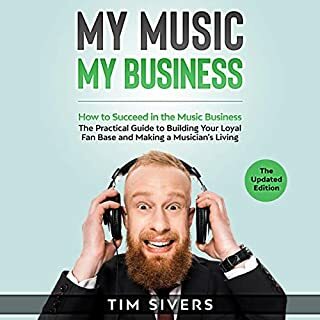 Es un libro importante para todo emprendedor directa o indirectamente relacionado con el Music business. 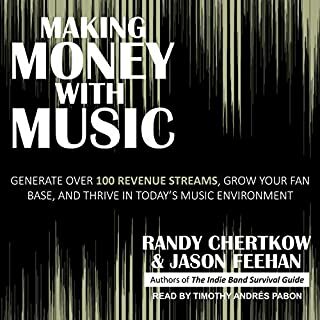 This is a great book to get a first hand account of the music business. It was worth the time. I really liked the straight forward, factual information. The narration wasn't bad either. I love this book so much!!! I am so glad I found it. 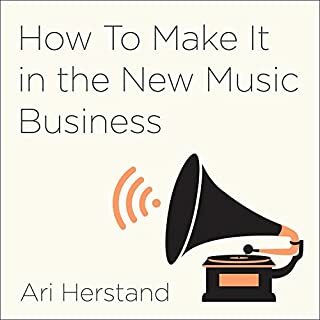 If you’re in the music industry you NEED to listen/read this book. 5 Stars all around.